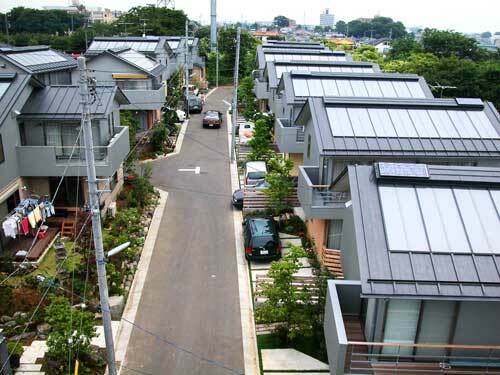 OM Solar homes feature a south-facing roof which is hollow, allowing air to circulate inside. 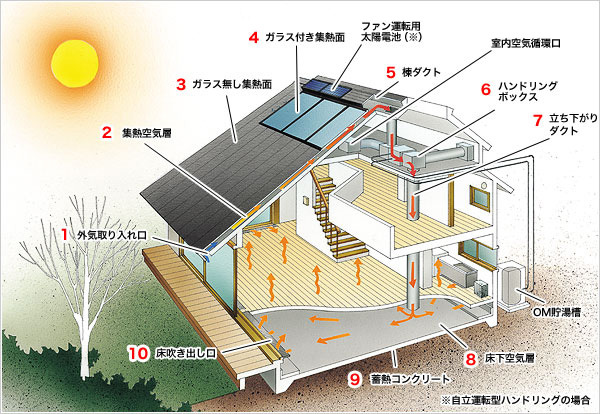 As the roof’s exterior warms from sunlight exposure, fresh air is drawn inside from vents within the eaves. 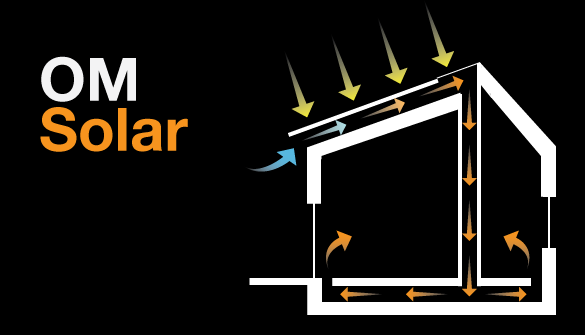 As the roof surface heats in the sun, so does the air inside the cavity which rises to the ridge. The hot air then passes through a fan-driven handling unit, forcing it downward through a large vertical duct. The ground floor is typically elevated above the foundation to form a plenum. 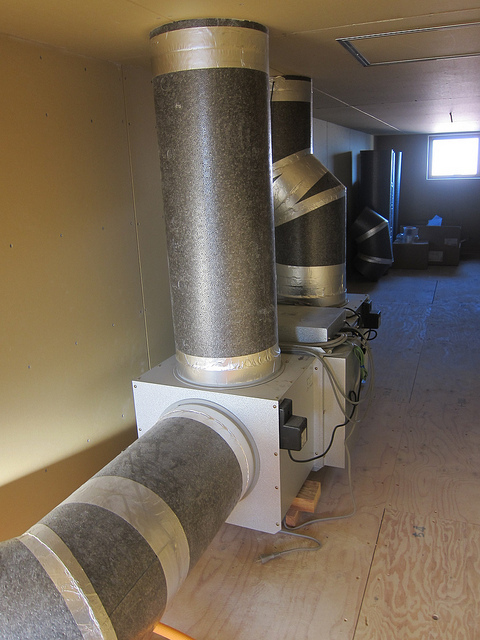 The hot air enters the interior through floor vents placed throughout the house. The handling unit also incorporates a built-in heat exchanger to pre-heat the household water supply which is stored inside an insulated tank. The system is controlled through a digital console that constantly reports on system performance and can tell how much CO2 is being saved. 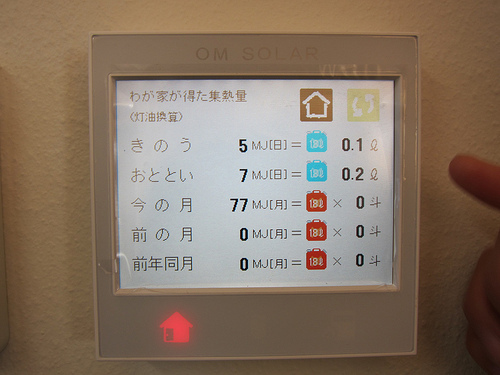 The system has several modes depending on time of day and season. During the winter, the system circulates hot air as described above. At nighttime, air circulation is cut off. 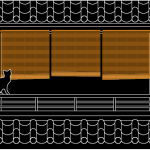 Designing the building fabric with thermal mass helps to retain warmth and radiate it throughout the night. In summer, the hot air can still be used for heating water, but exits the home after it passes through the handling unit. At nighttime, cool air can be channeled downward through the system. In spring and autumn, the user can balance the distribution of hot air between space and water heating to keep a comfortable internal environment. Several features optimize the performance of the system. 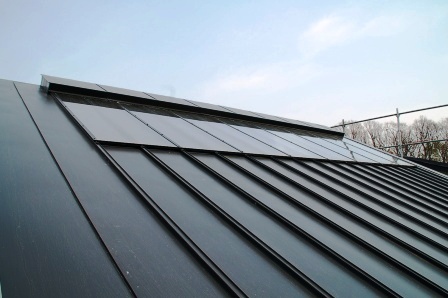 The topmost portion of the roof cavity is glazed to increase solar gain within. A small photovoltaic panel top the ridge powers the handling unit so as not to rely on additional energy inputs. In newer versions, special OM photovoltaic panels can cover the roof which not only convert solar power into electricity, but also transfer heat into the roof cavity in order to warm the air inside. 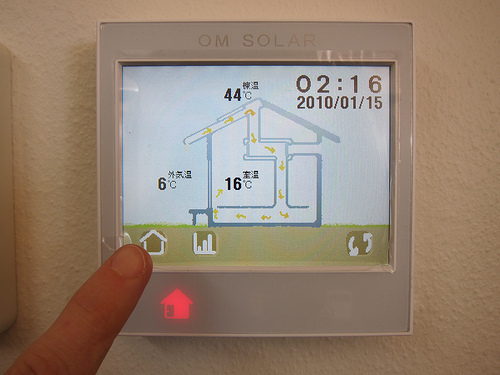 It is also possible to use the system in conjunction with a conventional PV array, but this reduces OM Solar’s heating effectiveness. Loft and open-plan living arrangements work best, allowing warm air to rise from the floor and freely circulate throughout the interior. 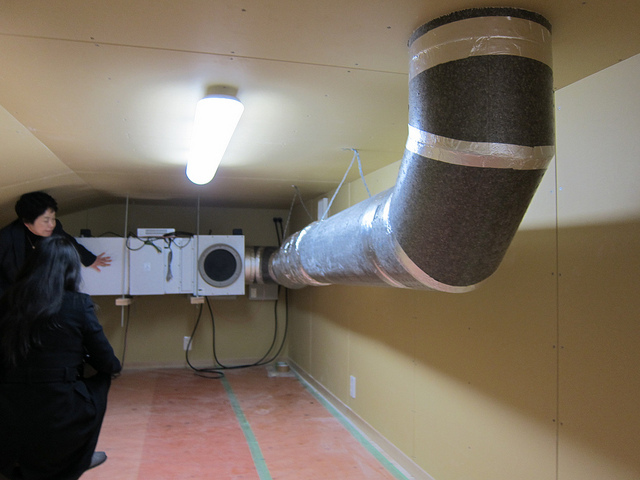 Enclosed rooms can still be served by ducts connected to the central hot air supply. 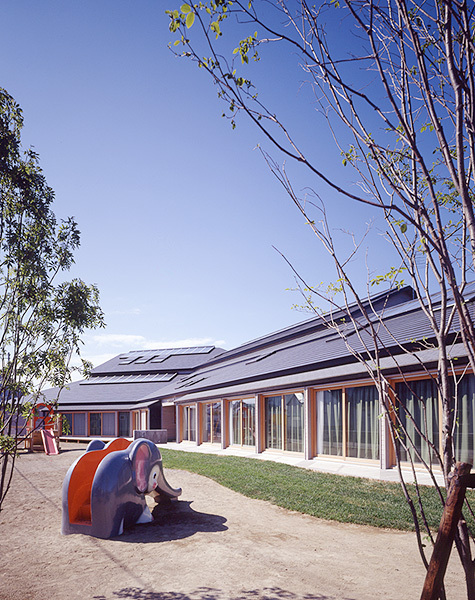 The OM Solar movement embraces a holistic approach to sustainable design. 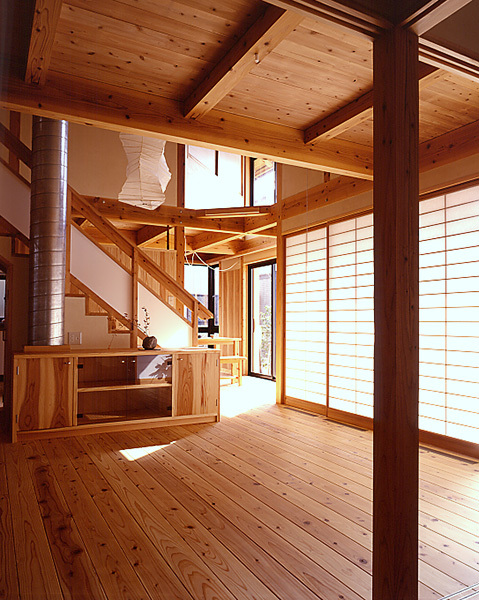 Most interiors appear natural and woody. 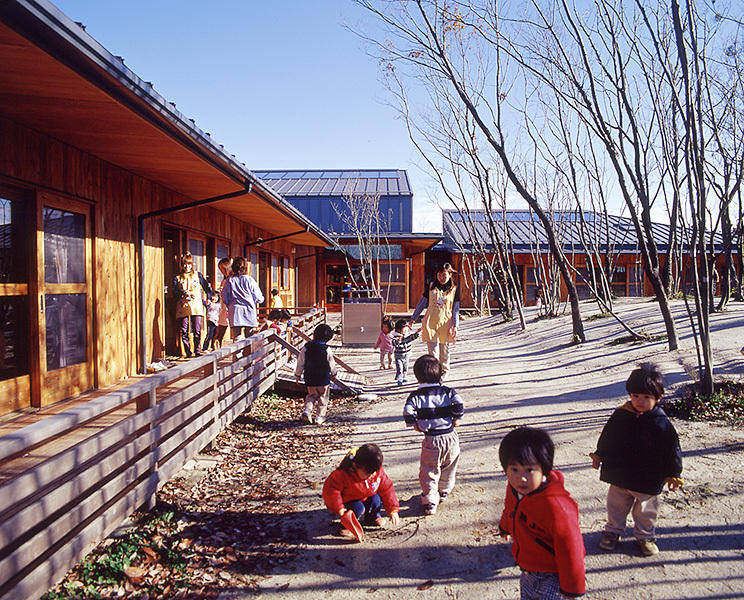 The use of Japanese timber is promoted in order to reinvigorate a sustainable forestry industry within Japan. However, the system is easily integrated within most conventional construction. 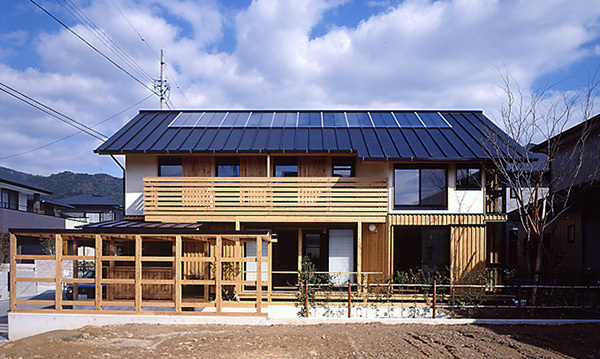 From the outside, OM Solar houses look fairly typical, recognizable only by the strip of glazing along the roof ridge. 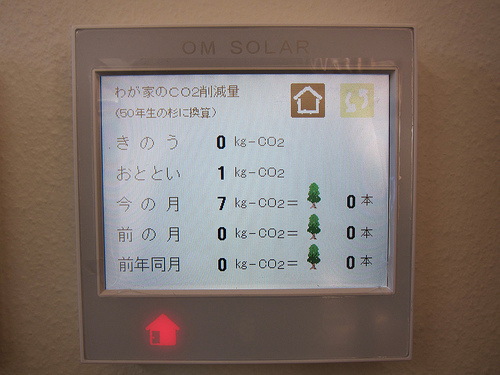 The OM Solar system is scalable and has been used to build a number of larger public buildings throughout Japan. 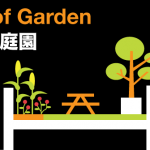 These include schools, art museums, churches, sports facilities, etc. The OM Solar Association‘s 8.2-acre headquarter complex on a reclaimed eel farm is a notable example. 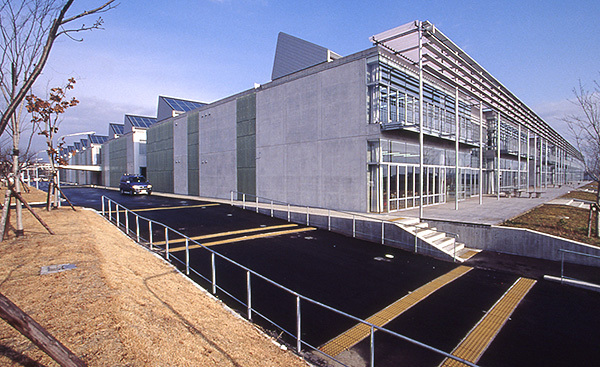 Called ‘Egg of the Earth’ the complex serves as a research hub and educational facility. Builders train to become OM accredited, learn to use energy assesment tools, and can market themselves as OM contractors. They also gain access to the latest developments and technology. OM Solar appears to be the sole supplier of specialized equipment (air handling unit, console, specialized PV, etc). 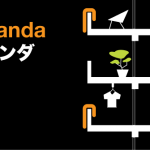 The Japanese website shows a good number of books have already been written about the system (unfortunately, none in English). 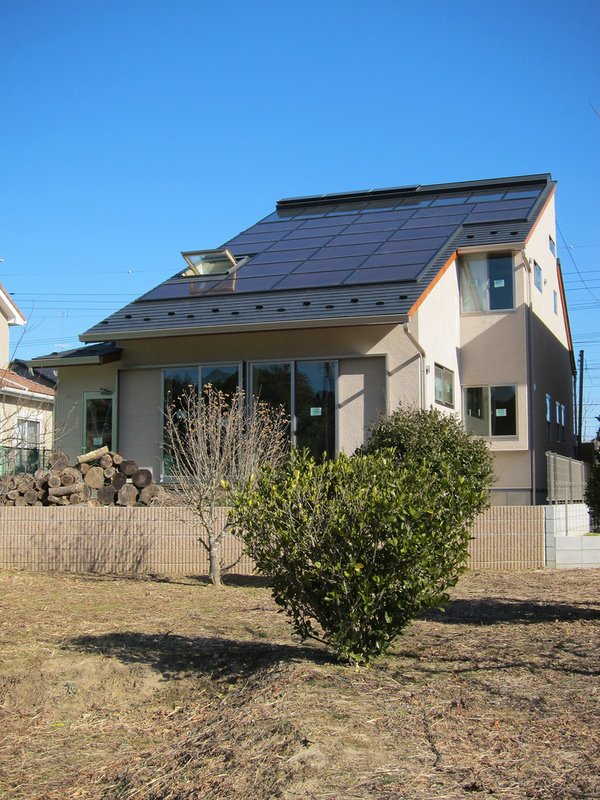 your really over complicating Solar Home Design. its starting to look like the double envelope homes and the hollow core floor designs that are already discredited- due to being ineffective, complicated and very expensive for what solar gain you get. 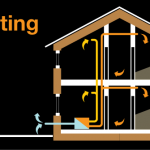 i suggest we first stick with proven Passive Solar design principals- direct gain from south glass, with corresponding mass placed inside the structure and then PV and water heating panels on the roof or ground mount. and stay away from active systems unless absolutely needed. I see it better to combine the two, and it is beneficial to both! Why not combine the two? I see no problem doing that at all. 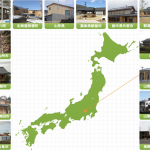 Both the German Passive House idea and this Japan OM Solar can work in unison. I replied before but for some reason it did not show up. Mark, why excluding each other while the two systems can work together? Each system’s addition to the house supports the other. I see it as a win-win situation. 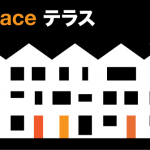 We have architects in Germany (Prf. Guenter Pfeifer or the Bio Solar House concept) who are constructing similar houses (concept wise) and build a house that almost does not need a heating system and are free from this awful non breathing passive house standard. Some people like to depend on oil and gas – there is a big industry behind it……. But I think we need much more new ideas and concept – like the Straw ball house from Swiss architect Werner Schmidt. He makes 1,20 m thick breathable environmentally friendly straw ball walls and some glace area facing south – enough to build a house that only has an emergency oven in the living room in case you forget to close the window one day in the winter. I am from Calgary, Alberta, Canada where it is cold and shiny at the same time. Pure passive houses do not work in Calgary. 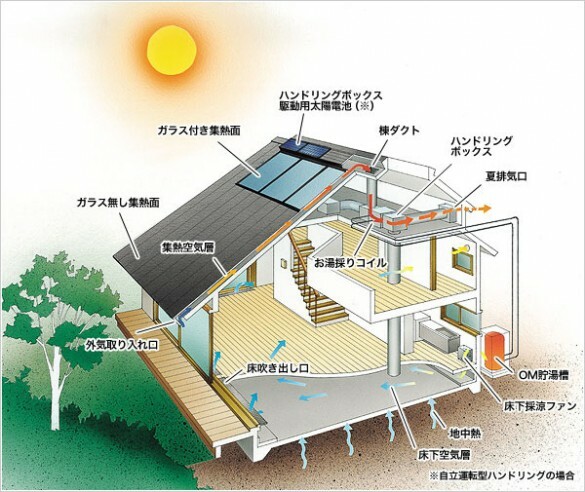 In this case the assisted solar heating idea of Japan’s OM system might work. I came to Kelowna and am now working for CRE Green, a company promoting the OM Solar system. When I get a hung of the whole thing, I will bring it back to Calgary where might have a chance to succeed. About 17 years ago, as a registered architect in Ohio I received a small promotional book on this system in an attempt to have the technology spread to the United States (and sell the fan/control modules). They changed the name to “Orange Mode” to keep the initials. As a kid who read all the info on solar, active and passive in the 1970′s (including reading the Mother Earth News) I have kept the book. The book WAS in english: you can find it on amazon under “The Orange Mode” hardcover for just an overview. It is an interesting system combo of simple air transfer/mass storage solar with a tech component (very japanese in that way), and I always wanted to know more. My impression was that it would be best in more temperate climates (like Japan, surrounded by ocean) than continental interiors with larger temperature swings. In Ohio we often don’t see the sun for extended winter periods.